With breathtaking views of the Great Smoky Mountains and Little Pigeon River, amenity-rich condos and cabins, and a luxurious on-site spa, this scenic resort is an ideal escape for families looking for relaxation and renewal. Soak in the scenic Smoky Mountains and riverfront views from luxurious lodging along the Little Pigeon River at RiverStone Resort & Spa. 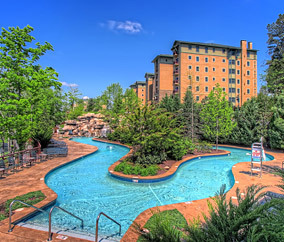 Ranked as one of the best Pigeon Forge resorts by TripAdvisor reviewers, RiverStone Resort offers luxury condos and cabin rentals for relaxation near the best attractions in Pigeon Forge, Gatlinburg, and beyond.